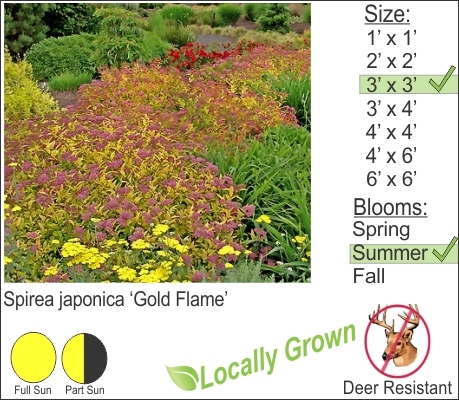 Gold Flame Spirea is another nice selection for your landscape foundation plantings. This Spirea features red / yellow foliage and pink flowers in the summer. Most Spirea are deer resistant and if you are looking to create a deer proof garden I would mix spirea with boxwood and dwarf spruce.